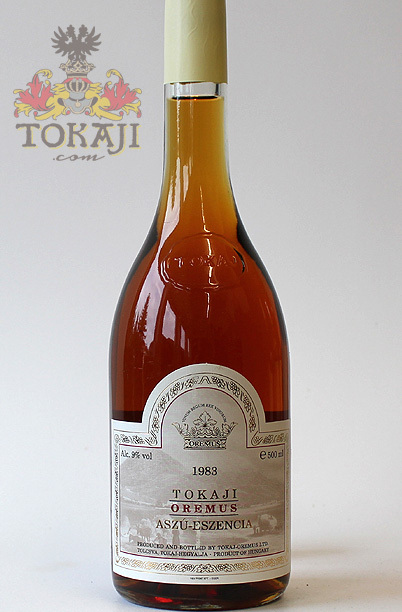 Excellent vintage in Tokaj. Outstanding Aszú Eszencia, very fresh, smooth, balanced and complex. A bit of caramel and marmalade on the finish. "Deep copper/amber. Toffee, sweet spices,raisins and candied oranges. Very long finish. The sweetness has faded somewhat from what I remember the last time I tried this wine a couple of years back but it seems to balance it out better. Excellent." "Finally, our dinner last night finished with this wine and ... in one word: IMPRESSIVE. I've never tasted a sweet wine from this category. Masterly."